Arete Cannabis Consulting Ltd. is encouraging farmers in the Foothills to take a stab at growing cannabis to combat what they call a shortage of cannabis in Canada. 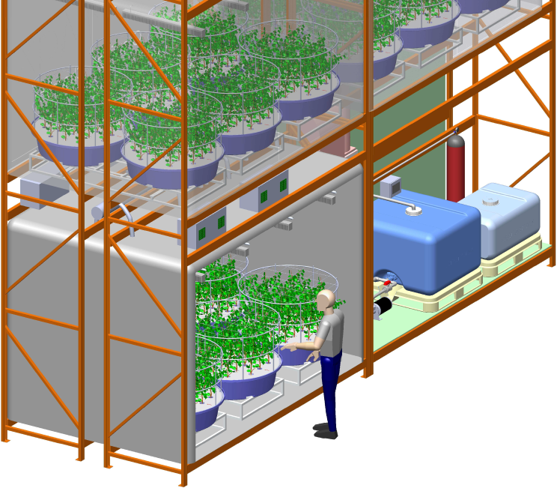 Producers can get involved in micro-cultivation allowing them to grow 200 square meters in an outbuilding. Arete Cannabis Consulting Partner, Lindsay Blackett, says cannabis has an eight week crop cycle. He says by growing six crops a year, farmers and ranchers could see an additional $1.8 million to $3 million in revenue annually. "What Health Canada I think has seen is there are large producers who are very motivated for having low costs, but there's not a lot of large producers who ever talk about great quality. So micro-cultivation could be like craft beer is to the beer industry." He says those looking to get a micro-cultivation license can fill out their application allowing them to sell to anyone with a Health Canada license. He says farmers would be a good fit for this opportunity as they already have outbuildings and a vast knowledge of growing crops. Blackett will be presenting more on micro-cultivation on Thursday, February 21 at the Foothills Centennial Centre in Okotoks from 7:00pm to 9:00pm. For more information on the event, and registration details you can visit their website.